Your customers (and 400 million potential customers) actively use Instagram! Instagram users only follow brands that they are interested in, when you post a photo of a product why not give them the ability to purchase right then and there? 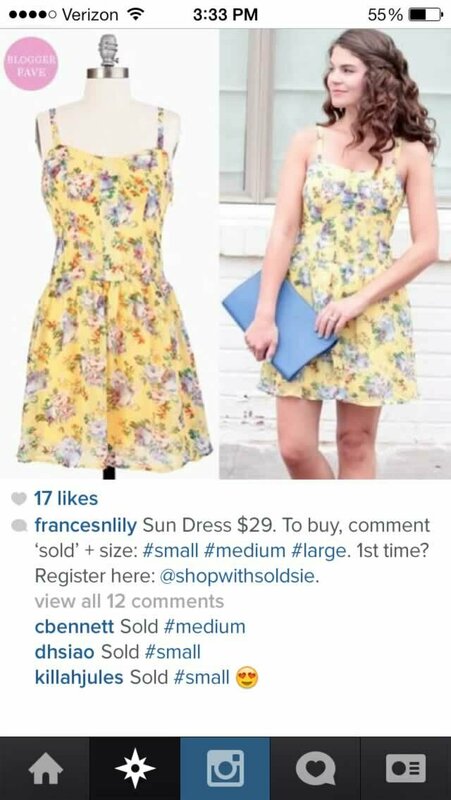 Use Soldsie to Sell on Instagram. Since you can’t embed links in Instagram, it’s been very difficult to offer products to your Instagram followers. Soldsie makes selling directly to your Instagram followers possible (not to mention fun and easy) and we will work with you so you can learn how to sell on Instagram. You can also use our Have2Have.It product to send traffic to your website. Companies like the Frye Company, DailyLook, and Nylon Magazine use it to increase revenue from Instagram. Companies have reported seeing an 87% click through rate on average and their customers from Have2Have.It spend 50% more time on site. Instagram is growing and fast! Turn your Instagram Page into an Instagram Store to allow for Instagram Selling! You’ve put time, money and energy into building a loyal following on Instagram. Now it’s time for it to pay off. The early bird gets the worm, and the first to sell on Instagram will get the the upper hand on dominating social selling. © 2012–2015 Soldsie, Inc. All Rights Reserved.